To ensure that your vehicle’s engine is performing optimally at all times, a routine oil change is needed every so often. This process involves removing the oil old and replacing it with fresh oil as well as a new oil filter. The result is a cleaner engine that is free of microscopic debris. Not to mention, you get better gas mileage as your engine is infused with new, high-quality engine oil. Stop by BMW of Nashville to check out the various service specials that we have going on right now for routine oil changes and other required maintenance. Here at BMW of Nashville, our expert automotive technicians are certified to perform routine oil changes, maintenance and any other repairs that your vehicle may be in need of. Our professionals routinely perform oil changes on many different models of cars and, they are experts at what they do. They can assist you with picking out the best oil and filter for your vehicle, and they can also advise you on how often you should be getting an oil change completed. This recommendation isn’t the same for everyone. It depends on the model of vehicle that you are driving and also, where you drive and how often you drive. We believe that having a regular oil change completed on your vehicle will not only help protect your car but also, you will be leaving behind a smaller carbon footprint. 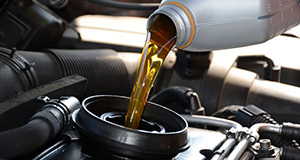 Regular oil changes contribute to lower vehicle emissions. When the oil is clean, the engine it is in will run cleaner as well. That dirty engine oil that you are getting rid of was producing some pretty nasty by-product emissions. These emissions are harmful to our health, and they are detrimental to the Earth. Not to mention, there are a lot of dirt and dust particles that can end up in your engine from the pollution we already have in our environment. If you leave these particles where they are (in your oil), then they will make their way throughout your vehicle. Damage can end up being done because of harmful particles. It’s best to remove the oil and these particles to prevent any issues from occurring. When you have an oil change or service completed at BMW of Nashville, we use only original equipment manufacturer (OEM) parts for all of our jobs. There are many benefits to doing this, which include higher quality products, parts that were designed specifically for your vehicle, and parts that will last longer and often come with a manufacturer’s warranty. Aftermarket parts might appear to be cheaper when you are shopping around for service, but in the long run, this isn’t the most beneficial way to go. You may end up having to replace these parts more often than if you had used OEM parts. Also, there might be a slight variation in how the parts are made (to keep the cost down), and this could end up damaging your vehicle if you aren’t careful about what you are using. Materials used during production tend to be of lower quality, and you will notice quite a difference when comparing the two.